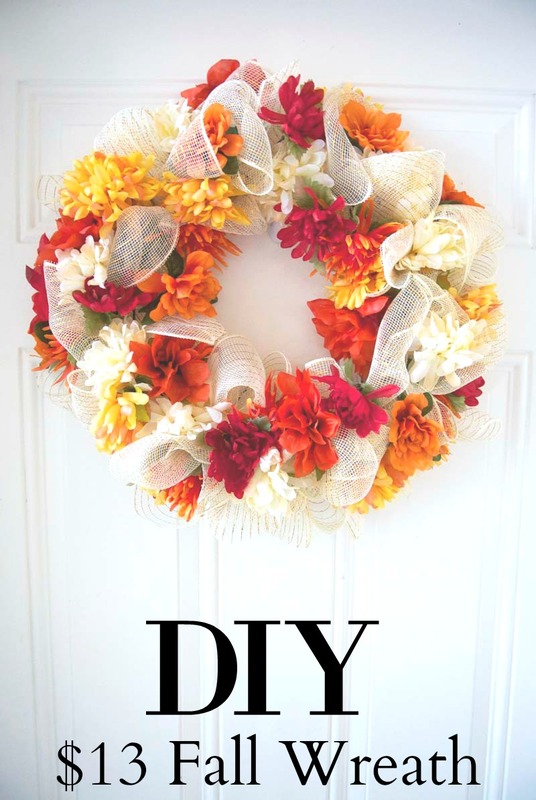 I was at the Dollar Tree earlier this month and was so excited to find all the things I needed to make this wreath. I felt like a kid on Christmas morning. Needless to say, I immediately set to work. I already had an idea of what I was doing because I made a similar wreath in the past. I know the pictorial is a little vague, but it contains the general idea. To get the netting properly around the frame, you first tie it to the outside of the frame. Then you pull a loop in the outside ring of the frame and twist it a little to secure. You then pull the next loop, without moving the first, into the center ring. Repeat again by pulling the third loop into the inner ring. You continue from here working your way out and in over and over again creating loops. 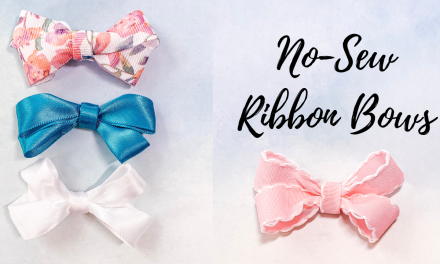 I tried to keep them close in size, but you can play around with it. After that was done, I began filling in the wreath with the flowers. I worked with one color of flower at a time so I could space them out. I left the stems a little long so I could weave them into the rings to secure the flowers. 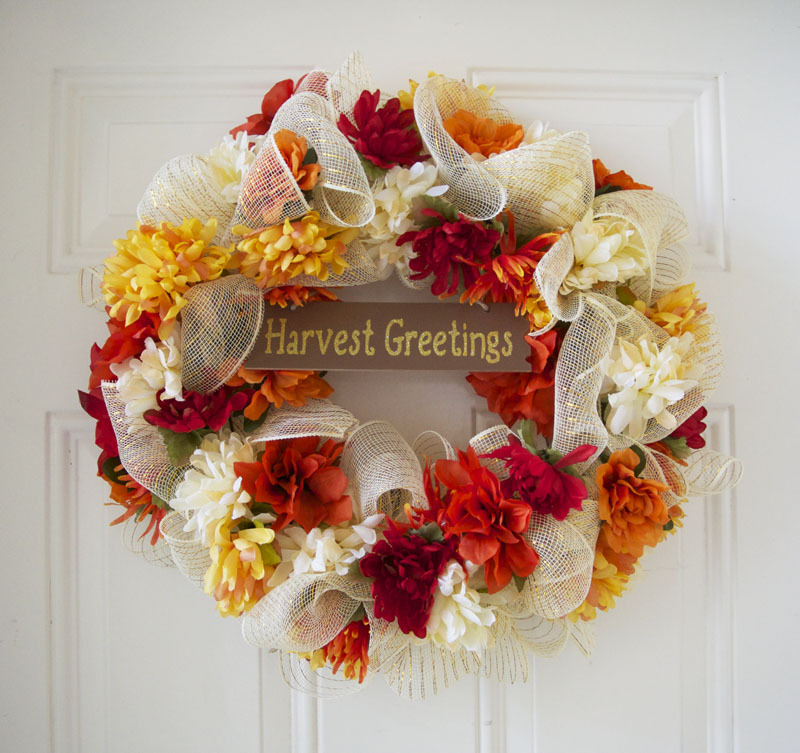 Finally, I cut the “Harvest Greetings” sign off of the decoration, lengthened the string a little, and secured it onto the wreath. Done!